How do parents feel about their children’s mentoring-relationships? Parents want what’s best for their children, which is why they often go through the effort of enrolling their sons and daughters in programs like Big Brothers Big Sisters of America. They often entrust their children to the mentor with a mix of emotions—hope and concern—which can influence the course of the relationship. Yet, we know very little about parents’ feelings and reactions. This study explored parents’ reflections regarding the mentoring process, including their hopes, expectations, and engagement, as well as factors contributing to their assessment of the relationship quality. A group of 13 racially and ethnically diverse parents, age range 30-52 with an average age of 40, participated in this study. These parents were recruited and identified as guardians of children/adolescents who were matched with a mentor in a community-based program through two agencies affiliated with Big Brothers Big Sisters of America (BBBSA) in an urban area in the Northeast part of the United States. This study utilized qualitative methods. Each parent participated in an in-depth, in-person interview. Interviews followed a semi-structured protocol, and were recorded for later transcription. Each interview transcription went through multiple coder analysis in which coders first established a narrative summary of each account, and then conducted a thematic analysis using a holistic-content approach in order to establish themes that emerged across interviews. Parents hoped that mentors would serve as an additional positive adult role model who could provide opportunities to nurture a broader array of experiences and possibilities. Parents also noted their expectations for their relationship with their child’s mentor. A variety of expectations were articulated including a need for a personal connection/closeness, open/consistent communication, and active participation in family events. Parents felt more trust and satisfaction with mentors who conveyed “genuine interest and investment” in their relationship with their mentee. Some of the ways mentors demonstrated this included showing genuine interest and attentiveness to mentee’s interests, clear communication with the parent, and meeting consistency. Collaboratorswere parents who actively engaged and coordinated with the mentor (e.g., scheduling, suggestion of activities). Coachesserved more advisory involvement (i.e., “coach to the mentor”), particularly in matches in which the mentor was significantly younger than the parent. Mediators-Lastly, when the mentoring relationship was struggling or needed to be terminated, parents sometimes intervened in order to advocate for their child. Parents noted the fluid nature of these role(s) throughout the relationship’s duration. Parent’s reflections regarding areas of racial and socioeconomic difference between their child and his/her mentors varied with some noting that racial/ethnic background similarity enhanced relationship development and role modeling opportunities through shared experiences, while others noted that racial/ethnic and socioeconomic differences provided opportunities for instructional experiences around issues of cultural and socioeconomic diversity, which could contribute to positive development. Parents have the potential, and desire to be active collaborators who work in alliance with the mentor to enhance youth’s mentoring experience and to support the mentor’s efforts. How they can provide more support around parents’ understanding and perception of areas of cultural difference as they relate to the mentoring relationship. Parent satisfaction with the quality of the mentoring relationship as well as their own relationship with the mentor has the potential to influence the relationship trajectory. Findings from the current study highlight parents’ desires for greater collaboration. This sort of collaboration has the potential to maximize positive outcomes as it encourages consistency across youths’ various relationships within their interpersonal network. Spencer, R., Basualdo-Delmonico, A., & Lewis, T.O. (2011). 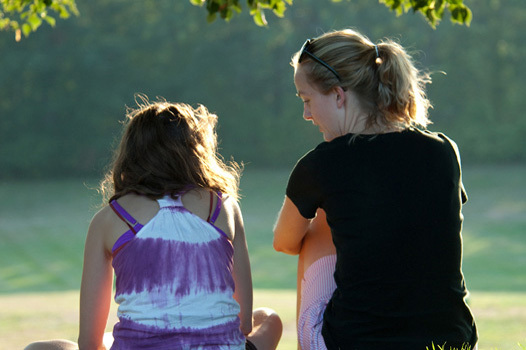 Working to make it work: The role of parents in the youth mentoring process. Journal of Community Psychology, 39 (1), 51-59.